This project takes the idea of capturing movement, the growth and lifespan of a flower (weed) and transplant it from 18th century Paris to 21st century Glasgow. En Tremble jewellery originates from Paris in the 18th century. During a recent visit to the Museum of London I was able to handle late 19th century examples. Tiny springs and hinges allow the flowers and blooms to move when worn. 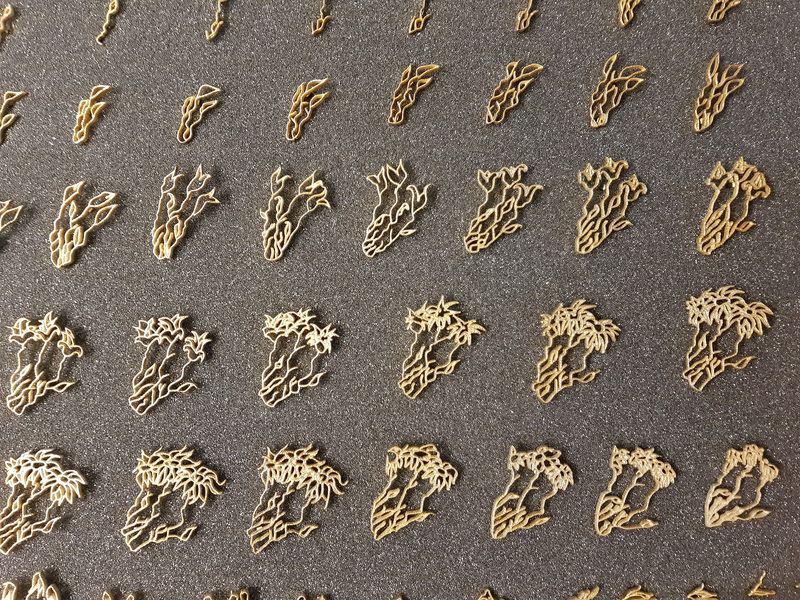 Photographs were collected and stop frame animations made before 77 brooches were made from the animation stills. The trembling occurs in the movement of the animated weed. 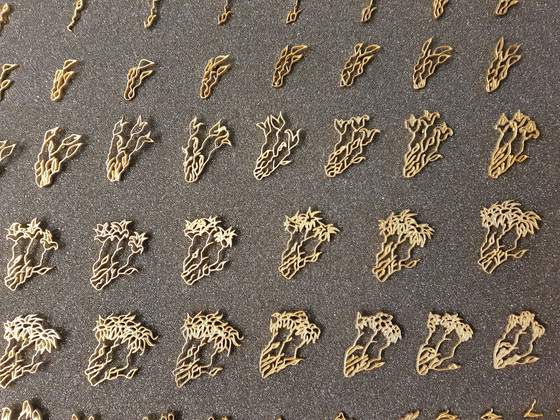 Each brooch acts as a single frame of animation, reconsidering jewellery in multiples. This is a new way of creating multiples in jewellery with each not being an exact copy but instead a very slight variant of the one that came before it. The collection of brooches was awarded Best New Design by the Goldsmiths Company in 2017. The works was exhibited at the CAA, Gill Wing and Goldsmiths Hall.